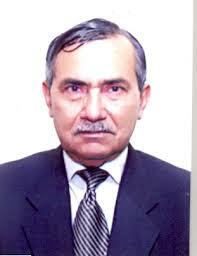 He has done PhD (Pakistan Studies), Quaid-I-Azam University, Islamabad (1998). An interdisciplinary social science degree, the thesis combining Political Theory, Political History and Philosophy, and Sociological Perspective. M.A (Public Administration),American University of Beirut, Lebanon (1965) An interdisciplinary social science degree with courses in Management, Political Science, Sociology and Development Planning. The Master’s thesis titled: “Government and public in Pakistan: the problem of promoting positive attitude towards Government” also combined constitutional-legal,politico-administrative and socio-psychological perspectives. He done his B.A from American University of Beirut, Lebanon (1963). An interdisciplinary social science degree combining besides, the major subject, several courses in Management, Political Science, Economics, Psychology and Development Planning.